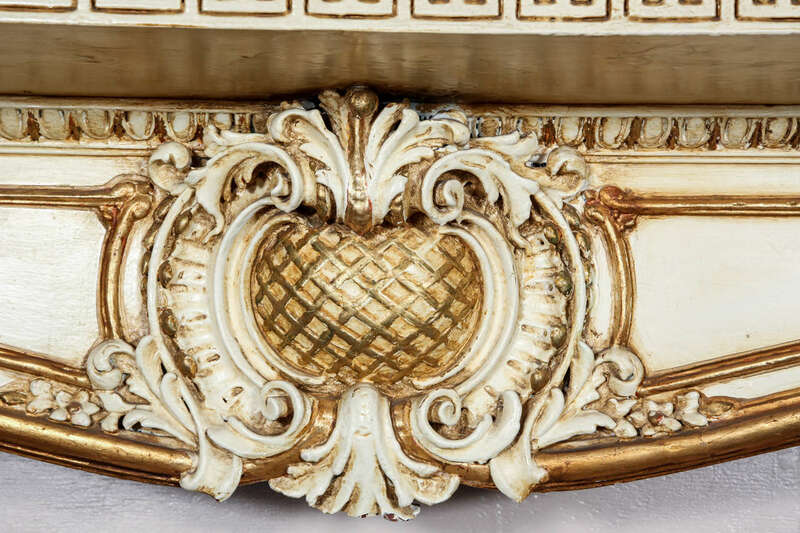 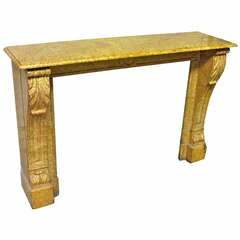 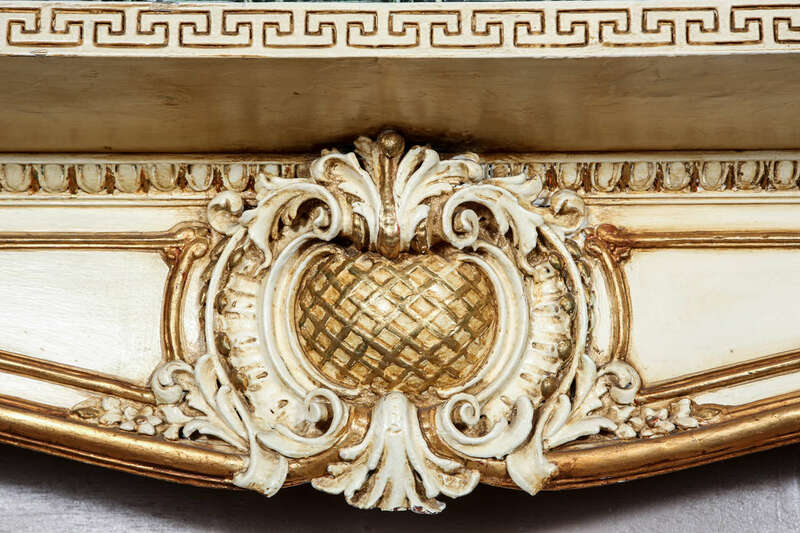 1950s large Greek Revival style ornate wooden mantel. 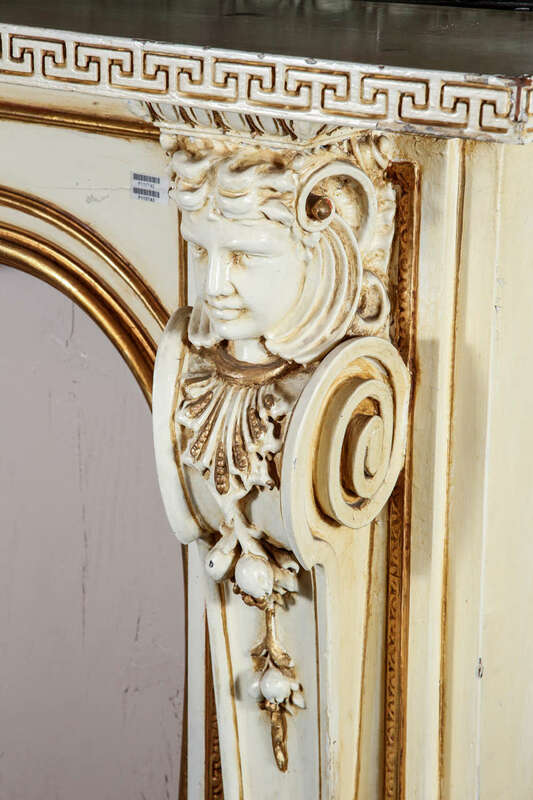 Salvaged from a lovely home on East 56th Street in NYC. 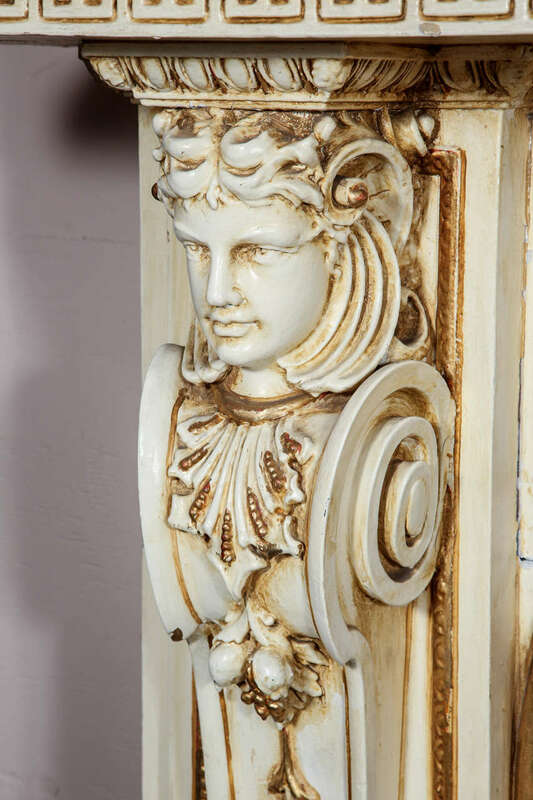 It has a figural lady bust on both sides and a cornucopia in the center. 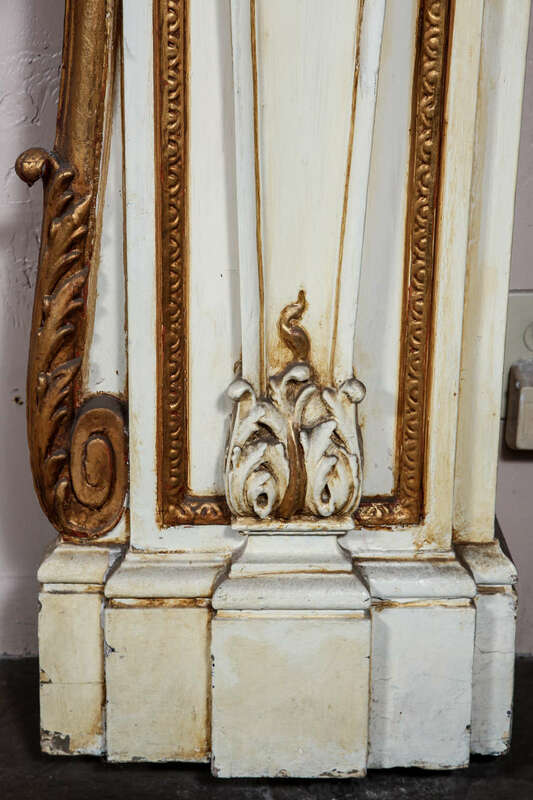 This can be seen at our 400 Gilligan St location in Scranton, PA.
1930s cream and gold painted wooden mantel with two figures adorning each side. 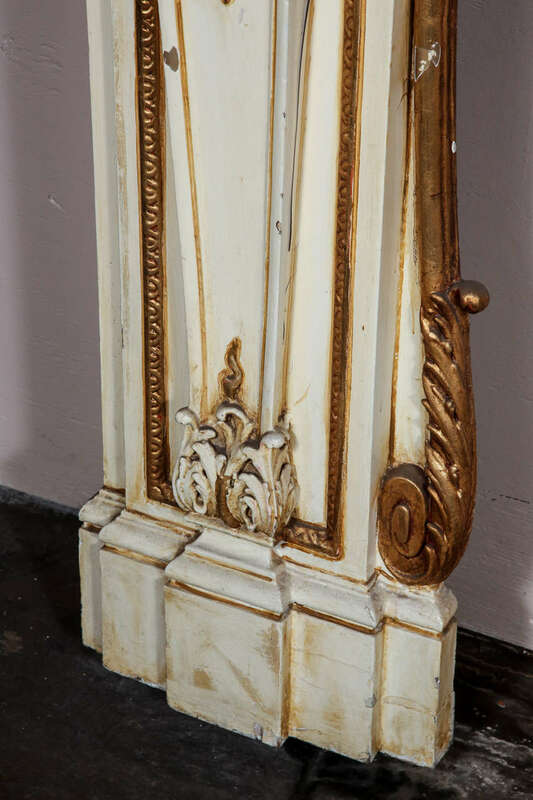 Rescued from a Park Ave apartment. 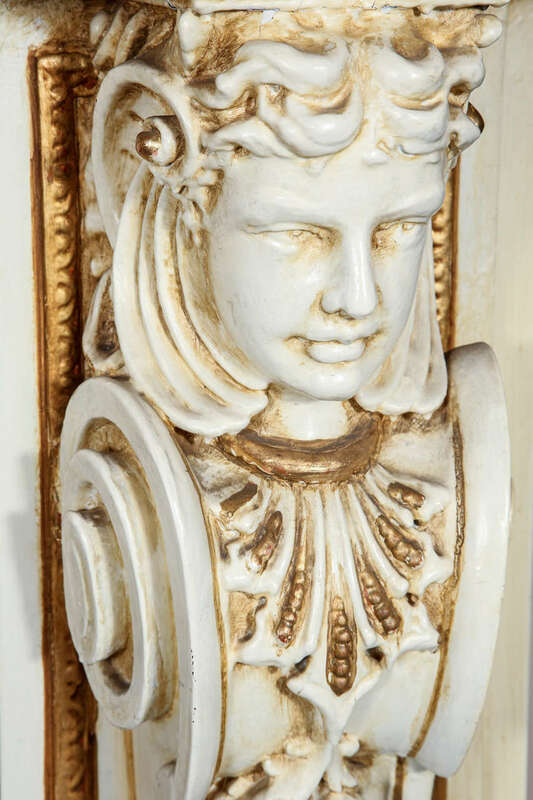 This can be seen at our 400 Gilligan St location in Scranton, PA. 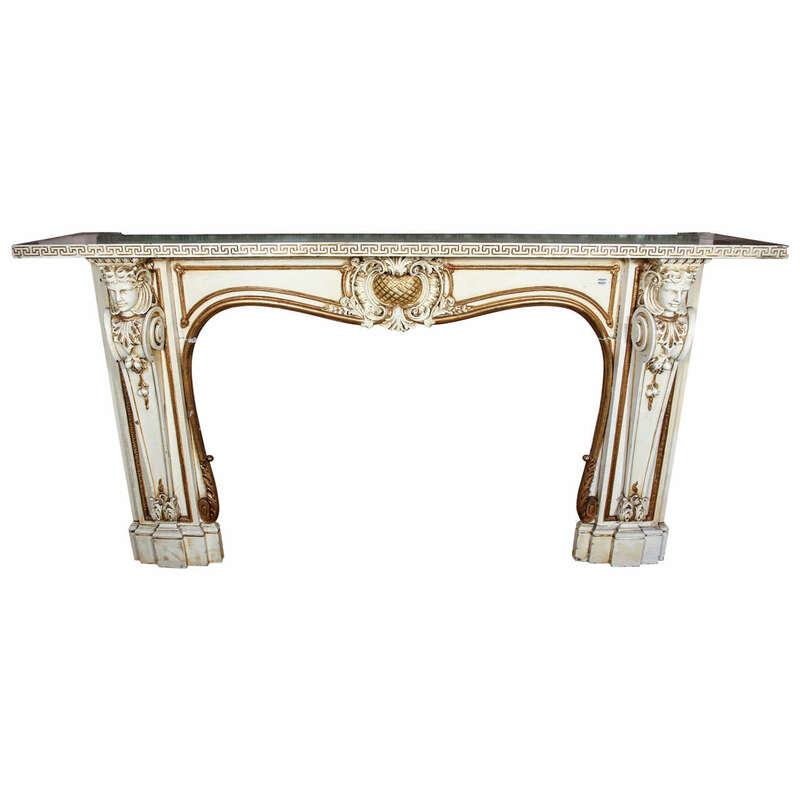 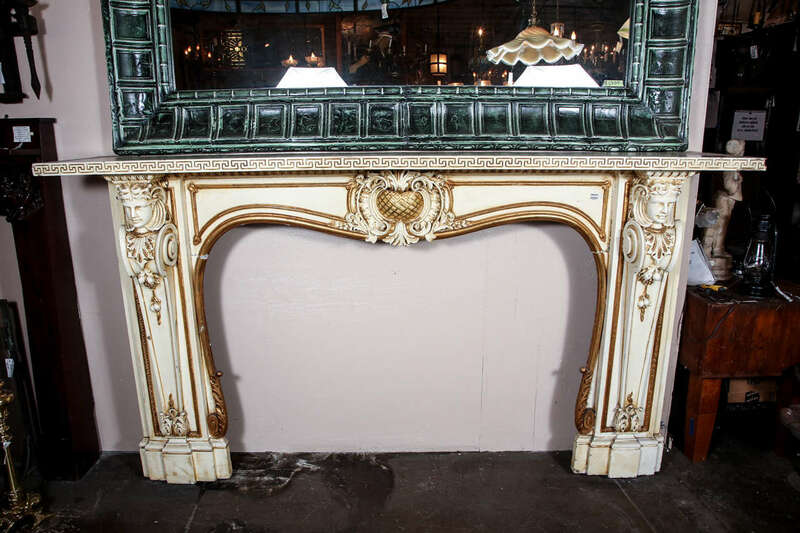 Solid, elegant French fireplace mantel in limestone, 19th century. 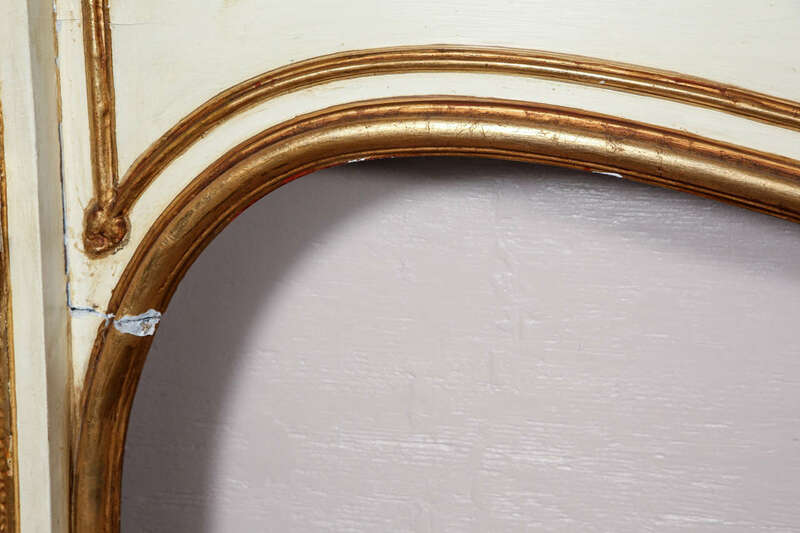 Very usable size. 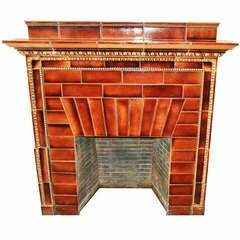 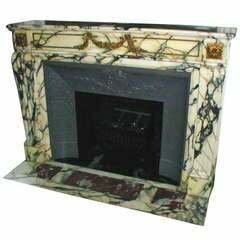 This mantel is sold by Schermerhorn antique fireplaces.